Can a Book Ever Make a Reader’s Life Worse? “I’m standing on the edge of some crazy cliff. What I have to do, I have to catch everybody if they start to go over. . . I’d just be the catcher in the rye and all,” read Mark David Chapman at his 1981 sentencing hearing. Last week I stressed the importance of reading and lamented how people aren’t doing enough of it. With all of its mental and emotional benefits, you can gain so much from reading that it’s difficult to imagine any downsides. The New York Times did just that in its piece, “Can a Book Ever Change a Reader’s Life for the Worse?” Writer Leslie Jamison discussed this question by referencing Mark David Chapman’s obsession with The Catcher in the Rye as his motive to assassinate John Lennon, and other murderers who were inspired by literature. I can’t imagine the guilt that Jamison must have felt after receiving this letter. Although the addict alone is the cause of her relapse, words are certainly powerful enough to persuade someone to behave or believe a certain way. I think all media is capable of this power, not just literature. Criminals have also imitated movies, television shows, and video games, so it would be naive to say that books don’t possess the same capability to influence. However, blaming media for the actions of others is wrong, because those who are mentally sound know the difference between fact and fiction. Books can enhance the dark recesses of our minds, but I think that the direction of influence is important. I believe that people like Mark David Chapman who possess dangerous urges are drawn to stories that amplify them. Books don’t cause murders; murderers find solace in certain books and will often use them as excuses for acts that they know are wrongful. 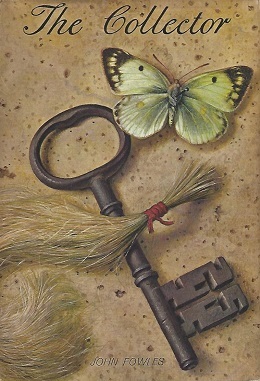 The Collector by John Fowles: the inspiration for many crimes, most notoriously for the murders conducted by Leonard Lake, Charles Ng, Christopher Wilder, and Robert Berdella. 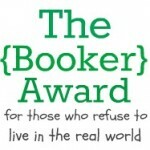 As for Jamison’s relapsed reader, there is nothing wrong in recognizing one’s own limitations. People suffering from addiction, depression, eating disorders, or other mental illnesses can often find comfort in reading the stories of others, but many won’t–and that’s okay. Because I have a vivid imagination and a tendency to suffer chronic nightmares, I avoid horror stories like the plague because I know that they would make my life worse. Even crime dramas like “C.S.I.” trigger me, so I’ve discovered that it’s best just to steer clear of them. That’s not the fault of horror or crime stories, and I would never suggest censorship to make my life easier. Sure, it’s difficult in October when movie trailers for the latest slasher flick pop up during commercial breaks, but plenty of other people love them. Just because we can’t handle something does not mean we abolish it for everyone else. So can a book make your life worse? Yes, but only if you let it.